Initially when i started my web journey just after deciding the domain registrar (Obviously Godaddy and Not Network Solutions where Google is registered), i moved on to googling about best vps hosting. Let me tell you, its the most confusing part in a webmaster journey. The internet is flooded with spam articles coming in top google searches to confuse you. Whenever you will search best webhosting review and top vps hosting in Google you will land at a page whose domain name will be blabestwebhostingblabla.bla or blatopblawebhostingreviewbla.blabla or something like that, which are not there to guide you, but they are there to earn quick buck from affiliate marketing of hosting companies. There are some forums like webhostingtalk and the most famous webmasterworld which are ready to guide you but you have to browse hundreds of threads to get a core idea about better vps hosts. One way to find web host finder is to look towards your competitors. The bigger and successful websites. Find out where they are hosted and you will get a clear picture of what is the best one nowadays. If you see some fast growing websites and high ranked sites hosted at a particular host, you can believe those hosting companies blindly. As hosting is a major factor contributing to a website growth. 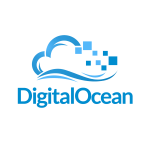 DigitalOcean is the fastest growing in the list. This has become also the fastest growing choice among serious webmasters. I am taking about webmasters who wanna grow their traffic and want to make a money out of it not the one who just want to host their client sites for minor traffic. The only pain in your a$$ is that you will have to use putty and winscp instead of filezilla and web cpanel. But its ok and easy with the help of tutorials spread over web and youtube. Plans are ultra cheap (Accept Payment from Paypal also ) and start from $5 for 512MB RAM and 1000gb bandwidth. Ofcourse you can upgrade easily to a higher plan at anytime, if you scale and your traffic goes up. It also allows you to choose your server location from its handful of server locations across the world. Linode is second most popular web hosting company in the world. The popular blog Neiplpatel.com and many other top ones are hosted here. Its cheapest plan starts from $10 for 1gb RAM. It also let you choose server location and linux os. Offers a managed service option also. Notions that linode and DO are for geeks are not correct. Anyone can use it with little help. 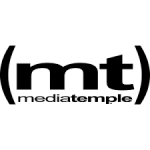 Media Temple is the best popular host if you are afraid of configuring initially your server via SSH. 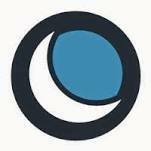 Its managed hosting service is one of the best in the world. Client list include Adobe, Jquery, Samsung etc. It provides you cpanel or parellal plesk panel to easily manage your websites. Plans start from $55 per month for 2GB RAM and 2000 gb data transfer. Very reputed with best uptime MT still leads the list of managed web hosting services. 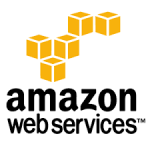 Amazon Aws is rated best in the survey among webmasters but it has a steep learning curve. The pricing model is based on the famous cloud service pricing model, i.e Pay that much which you use. It is the best choice if you want to scale ultra fast and you belive that your web idea can shoot up any time and you do not bother to upgrade or downgrade your server each time your server goes up and down. Rackspace was initially famous among successful webmasters and enterpreneurs who have got high traffic websites and wanted an efficient and powerful dedicated web servers. Its lowers dedicated plan was $200+, but now they have started offering cloud hosting services and can be used at initial stage also. 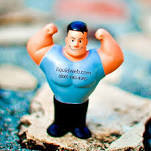 They are the only web hosting service who claimed 100% guranteed uptime and they meant it. Softlayer is an IBM owned company whose Virtual server plans starts from $27 per month. They offer 5000 GB bandwidth traffic per month for $27 virtual server plans. 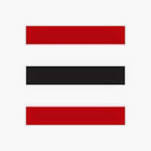 You can go for their dedicated server or cloud server offerings as well. The server can be instantly scaled and is available with 100mbps public or private node with geographically redundant DNS. 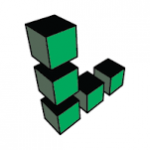 Liquid web provides managed VPS from $50 per month having is having 1GB RAM and 50 GB Disk Space and 5TB data transfer per month. I have seen many top alexa ranked websites hosted here. Although i haven’t personally used it. But they looks reliable as Media temple and can be used if you want a managed hosting solution. I first heard of peer1 when i was amused by success of canadian enterpreneur Markus frind of Plentyoffish. Since he managed to scale his website to top 1k alexa rank in a short span of time, i thought he must be using rackspace. But it was peer1 services which he used. Peer1 also offers dedicated managed services which they claim to having the best uptime with features like load balancing technology etc. to make it one of the greatest hosting services in the world. Dreamhost is los angeles based web hosting company and offers some beautiful managed web hosting VPS plans starting from $15 having 1 GB RAM. Labnol by Amit Agarwal is hosted here and similarly many reputed blogs and sites also. 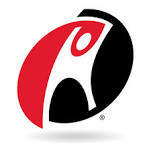 It definitely provides cheapest managed Virtual private servers. It is the newest and cheapest one in the list. For just $5 it provides 768MB ram. 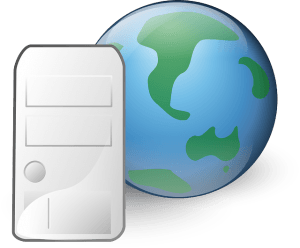 You can choose your server location while deploying sever from server locations across , america, europe and asia pacific. 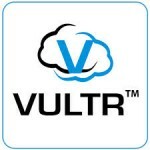 While doing some internet research, i was unable to find genuine negative reviews about Vultr and with the speed which it is growing, it may outpace competitors soon. Why VPS over shared Hosting? You should always choose VPS over shared if you are planning to grow and scale in near future. Also in VPS you can host multiple websites, but in shared hosting starter package mostly $30 to $40 per year, you can host only single website and let me tell you, your hosted website should never poke your nose in high traffic arena. I mean they are ok for popular shared hosting packages across the globe only as long as they are low traffic websites. Once they grow, these Devil hosting companies will disable your website and send you a sorry email. I have experienced it myself also. So believe that there is no such thing as unlimited bandwidth or unlimited disk space. This is all a Marketing Gimmick.